Hotel pick-up at 7:30-8:30am. The guide will wait you at the hotel lobby, by holding a paper sign with your name on for you to recognize. 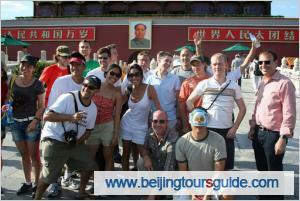 First visit the Tiananmen Square, the largest city square in the world; then walk to the nearby imperial palace-Forbidden City. 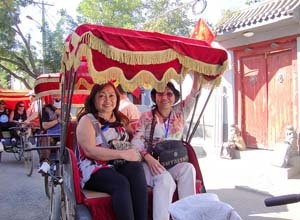 After a simple Chinese lunch, go on our touring at the majestic Temple of Heaven, which is a large-scale imperial complex where the Chinese emperors hosted grand sacrifice ceremonies to heaven for a good harvest. Finally we move on to the beautiful imperial garden Summer Palace to experience the leisure life of the emperors and their concubines. Be transferred back to your hotel. End of our service. 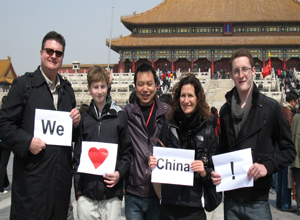 We will first pay a visit to the old Beijing Hutongs, where the old Beijingers live. 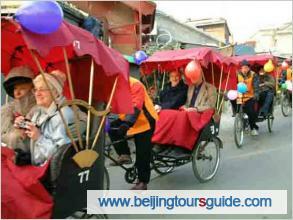 A exciting rickshaw trip is arranged along the narrow Hutong alleys with lines of old courtyard houses. Then we move on to see the cute pandas at Beijing Zoo. After a simple Chinese lunch, go to the sacred imperial Buddhist architecture-Lama Temple to make a sincere prayer. Finally call at the Bird’s Nest and Water Cube to take photos (Exterior vist). Hotel pick-up at 10:30-11:30am. The guide will wait you at the hotel lobby, by holding a paper sign with your name on for you to recognize. 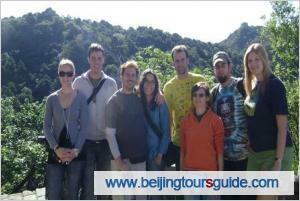 Visit the Mutianyu Great Wall. 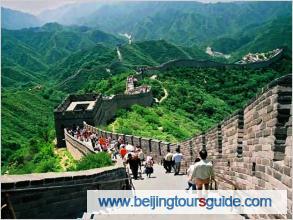 This wall section is less crowded than others due to the distance, but boasts a more spectacular landscape. 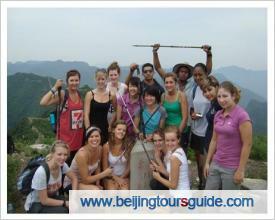 It is popular among foreign tourists. 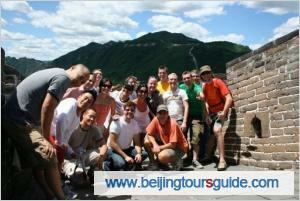 Visit the Badaling Great Wall, which is the most popular section of Great Wall and received many world celebrities. Take a simple Chinese lunch, and then move to the Summer Palace. Soak in the beautiful imperial garden to experience the leisure life of Chinese emperors and their concubines . After a simple Chinese lunch drive back downtown to visit the Tiananmen Square and the majestic imperial palace-Forbidden City. 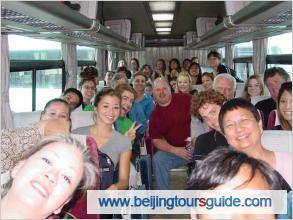 Drive to the imperial Ming Tombs and visit its largest tomb-the Changling Tomb of Ming Tombs. After a simple Chinese lunch, move on to the Badaling Great Wall to witness its majestity and the great wisdom of the Chinese people.